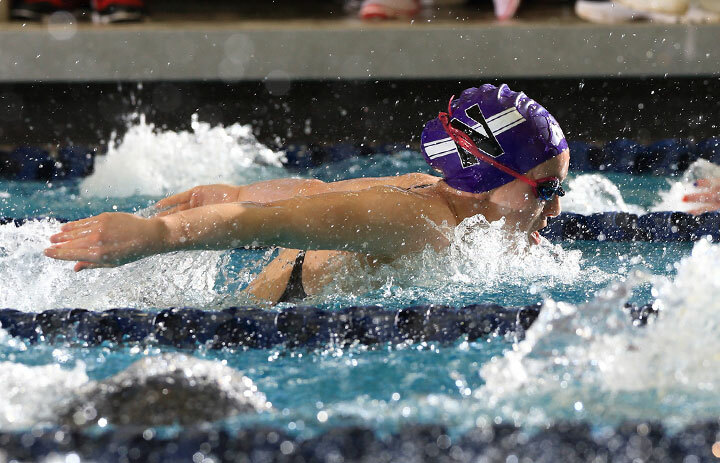 Northwestern Women's Swimming & Diving is coming off a historic year! At the 2017 NCAA Championships, your NU Wildcats placed 21st as a team and finished in the top 25 for the first time in recent history! Individually, sophomore Olivia Rosendahl became the first National Champion in program history in the platform diving event, first year Valerie Gruest earned All-American honors, and senior Melissa Postoll qualified for the NCAA Championships! With multiple first year student-athletes who competed at the 2017 FINA World Championships, your Northwestern Wildcats are poised for success this season and greatly appreciate all of your support. Go 'Cats! "Thank you for continuing to support our swimming and diving program, but more importantly, our student-athletes. Your generosity allows us to provide our student-athletes with the latest training tools and the best daily experience for the Wildcats swimmers and divers. We continue to invest in their ambition and commitment, and your gifts go directly toward enhancing their endeavors at Northwestern." Provides opportunities for our student-athletes to compete in national championship competitions (USA Swimming Nationals, USA Diving Nationals). Allows the coaching staff to identify and recruit the world's best talent by by affording recruits the opportunity to visit campus (especially international recruits). Improves the training needs of our diving team by renting 10 meter platform space in Milwaukee, the closest platform facility. Affords facility upgrades and equipment purchases that are needed to provide a world-class training experience so our student-athletes can be successful on the national and international stage. Sophomore Olivia Rosendahl became the first NCAA National Champion in NU Women's Swimming & Diving history. First year Valerie Gruest earned All-American honors in the 1650 free. The team broke the NU and B1G Ten Conference record with 11 B1G Ten Distinguished Scholars earning a 3.7 GPA or higher. The team was awarded Scholar All-America honors for posting a 3.58 team GPA.